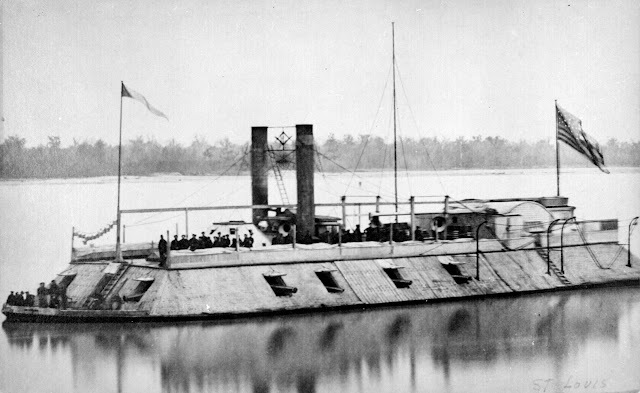 On February 2, 1862, General Ulysses S. Grant left Cairo, Illinois, with the Western Flotilla of ironclad gunboats to invade western Kentucky and Tennessee. His first major obstacle was Fort Henry on the Tennessee River near the Kentucky-Tennessee border. 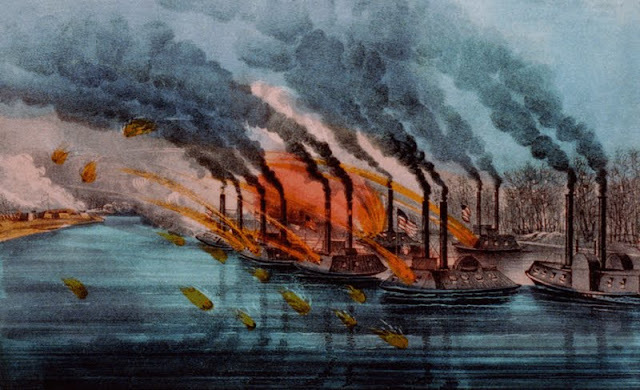 Fortunately for the federals, poor design and high water meant most of Fort Henry was underwater, and the Union gunboats induced a surrender after a bombardment. Although victories at Fort Henry and Fort Donelson a week later would dramatically change the strategic picture in Kentucky and Tennessee for the 79th Pennsylvania, the Lancaster County Regiment did not participate in the fighting. A. J. Sypher, brother of Lancaster Daily Evening Express local news editor J. R. Sypher, did fight in the battle though as an officer on the U.S. Gunboat St. Louis. He penned this letter to his brother's newspaper a half hour after the fort surrendered. Sypher's letter was the first of an oddly large number of letters written for publication in newspapers by Lancasterians or Lancaster-related sailors and Marines aboard ironclads and other ships in the Western Theater. Look for more letters from A. J. Sypher and three or four other correspondents to be posted here in the future.